Our mission is to catalyze individual, workplace, and community transformation. A fractured economic environment and complex individualized barriers limit the potential of many Woodlawn families. Unemployment and poverty drain our neighborhood and ravage our families and community. Woodlawn experiences 6.2 felonies per 100 people, 1.7 x more than Chicago's record. 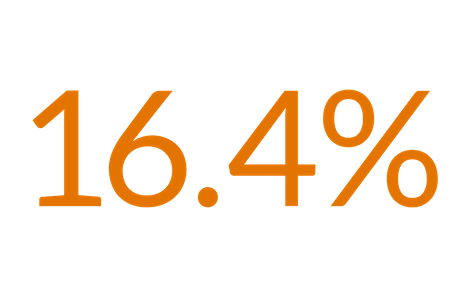 While the national unemployment rate stays stagnant at 5%, Woodlawn's rate is more than four times that amount. of Woodlawn adults have less than a high school diploma. Woodlawn is in need of holistic community transformation that reaches across generations and through the entire person and society physical, economic, social, systematic, familial, and individual. Hope Works strives to address these issues of poverty and unemployment not only by finding and creating resources, but by equipping individuals to independently engage resources available to them. We do this through one-on-one interactions that empower community members to reach for employment opportunities. Join our Associate Board to have an opportunity to serve Hope Works through a year long commitment to the organization. Donate both your time and talent while receiving access to professional and personal development. To get more information or to request an application, email Rebekah King at rking@hopeworkschicago.org. Our organization is built on grassroots participation. As a Community Advocate, you will have the privilege to work with a member of our community and help them thrive. Come and partner with us as a volunteer or as an intern. Applicants should be committed to community development and eager to work as a team with the senior staff. 1. Donate with your financial resources. 2. Volunteer or intern with us and lend us your time. 3. Pray for us and the growth of our community as we face chronic unemployment, violence, need for economic vitality, lack of adequate health care and familial instability. 6414 South Cottage Grove Ave.